I have 3 friends who are pregnant at the moment and all of them are image conscious. They are afraid of gaining too much weight and look unattractive. Well, understandably, who isn’t? The good news is that gaining weight is necessary during pregnancy. Given our Asian built, one should gain about 10kg until you are full term. Anything more than 15kg needs to be monitored. You should also watch out if you are gaining weight too fast. The challenge is how do we stay fit, confident and doesn’t look clumsy during our pregnancy? How to get rid of that cellulite, sagging breast, extra flab or gaining weight at the wrong places? Due to hormone changes and enlarging body, one may get puffy face and varicose veins too. Also, if you would like to speed up weight loss after delivery, the first thing you should do is to breastfeed. Breastfeeding would help your uterus to get back into shape much faster and protect you from breast cancer in later years. If you know little things to do except worrying, you can opt for Pregnancy without Pound by Michelle Moss with 15 years of experience as a Health and Nutrition Coach, a Masters Degree in Holistic Nutrition, a Kinesiology Diploma, Psychology Degree, a Personal Training Certificate. This program will guide you how to eat well, manage cravings, exercise safely, refrain from excessive weight gain, dress confidently, learn your way to a smooth delivery and lose those extra weight after pregnancy. As your baby grows, he is taking huge amount of nutrients from you. You calcium intake must be sufficient to avoid bone depletion and teeth weakening. Remember that you could suffer from hair loss and aches and pains too. 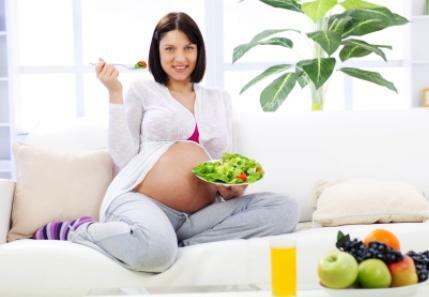 So, find out the type of food which provides the most nutrition for you during your pregnancy. Some mothers opt for traditional post-natal massage. I too, opted for it after my kids were born. I would not say it is worthless but the amount I pay for it did not get me slim down; it simply provided me soothing feeling. To cut the long story short, every mum-to-be must take action and learn how to attractive, confident and healthy during and after pregnancy.